The 8th Generation Rolls-Royce Phantom 2018 launched in India. First car will be debut in Chennai because of its first order placed. The car has received some changes in look and feel. Let’s have take a tour of overall changes starting from exterior of the car. 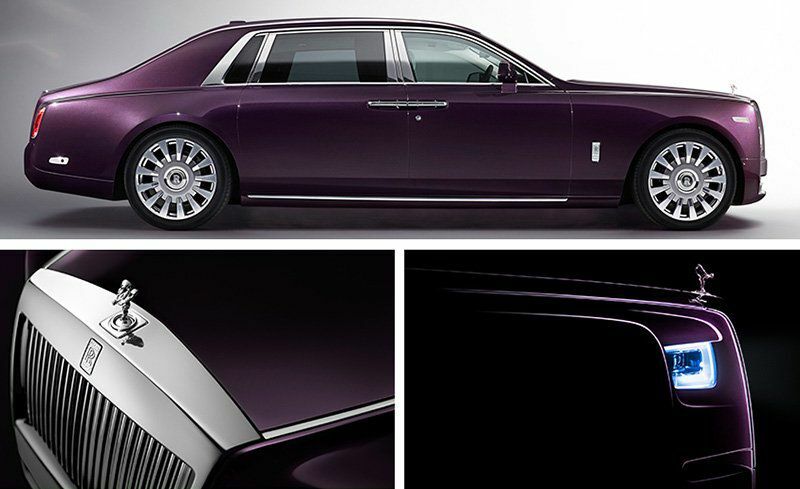 The 8th Generation Rolls-Royce Phantom 2018 carries the same iconic design. Both the from and the rear of the car received major changes. The front has a bigger grille than before with laser-LED headlamps. To keep the weight on checks and to have an even better driving dynamics, aluminium infused chasis as been installed. The car is 30% lighter than its predecessors. Under the hood of the car is hidden a powerful 6.75-litre twin-turbocharged V12 engine which churns out 563 bhp and 900 Nm of peak torque at just1700 rpm. Motor is paired to an 8-speed, satellite-aided transmission. Despite of its enormous size, the car can race from 0-100 kmph in just 5.4 seconds. “Pricing in India for the standard wheelbase is Rs 9.50 crore and for the extended wheel base at Rs 11.35 crore, inclusive of a four year service package and regional warranty,” said Paul Harris, Asia Pacific Regional Director, Rolls-Royce Motor Cars. “Taxation policies on automotive lacks stability. You can’t keep tinkering with a business area and expect it to perform. Price position has changed so much and customers need confidence to make buying decisions. Stability and a degree of predictability is the key,” Mr. Harris said.